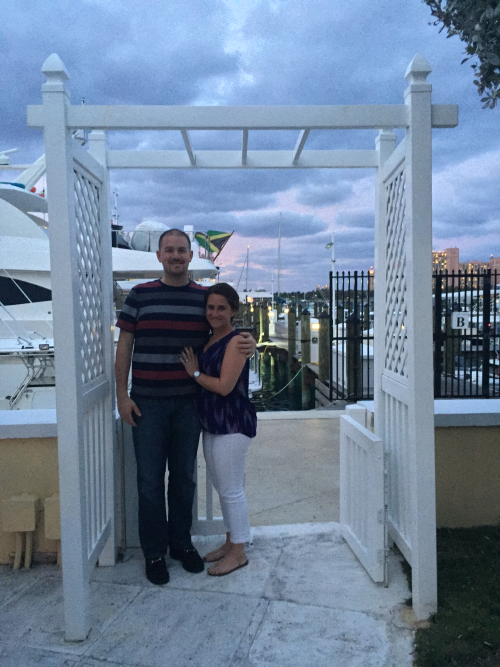 I recently got engaged to my long-time girlfriend and Alpha Gamma Delta Lehigh ’10 alum, Elisa Pennetti, while on vacation in the Bahamas. We met during my senior year (her junior) in the Lambda Chi common room! It was after a party or something, and she was holding court by the pool table entertaining a group of brothers with jokes that were largely inappropriate in nature. We started dating later in 2009, graduated together with my MS and her BS in 2010, and moved in together in New York City in June of 2014. I popped the question on March 20, 2016. We are currently planning to have the wedding in September of 2017. (1 14th St., PH7, Hoboken, NJ 07030; [email protected]) I’m married to Kim Richman (Lehigh alumna), and we are the proud parents of two beautiful daughters. (65 Brentwood Drive, McKees Rocks, PA 15136; [email protected]) I finished my MBA at the University of Pittsburgh in April 2013. On September 8, 2013, my wife Jennifer gave birth to our first son, Cameron Michael. In February 2014, I was promoted to Team Leader, Project Financing at SunConnect Corporation. My wedding took place on May 30th, 2009 to Lori Sexton in Pittsburgh, PA. Fellow brothers: Ross Hurwitz, Nate Krieger, Matt Booras and Frank Chartier were in the wedding party. Scott Garrett, Zak House and Jon Trenkle were all in attendance as well. Lori and I live in Center City, Philadelphia. 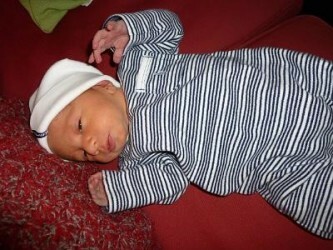 My wife, Kate, and I are proud to announce the birth of our son, Nolan James on April 9th. He and Kate are doing well. His big sisters Avery (5) and Mackenzie (3) are enjoying having a little brother. Hope all of you are well. My wife Jessica (Moravian class of 2007, Sigma Sigma Sigma Sorority) and I had our first child, Jack Anthony Forcine on October 30. He weighed 7 lbs. 3 oz. and was 20" long. I just moved to Tokyo, Japan on January 13th (my wife Amy is joining me on February 3rd). So far this city is pretty cool. If any brother is over here looking for someone to connect with, let me know. My J-phone cell is +81-(0)80-6203-2949. We're living in the Atago Green Hills Forest Tower Building (in Minato-ku). If I'm in the area, I'd definitely be up for hanging out, so let me know if you'll be in Tokyo. I moved back to the Lehigh Valley from California. Kandice and I got engaged in December and we are buying a house in Upper Saucon, close to the campus. We both work for Lutron in Coopersburg, so if you need a dimmer, give me a call. I'm working in Fort Worth, Texas as an Operations Engineer / Union work crew Supervisor for the F-35 Joint Strike Fighter program. Nice job on the big AM class, the Greek Week win, and the other accolades in the email Mandel just sent out. I recently accepted a position as a corporate operations finance manager at MGM Mirage in Las Vegas. If you are ever in town, give me a ring. I'll forward on new contact info when I get it...I start in a week. You can contact me by e-mail at [email protected] Hope you are all doing well. Going to law school at The George Washington University Law School and living in Washington, DC. If you're around the city, give me a call. Walton here again with another update. Myself, Marshall Kurtz, Scott Garrett and ATO brother Drew Truxel started a real estate business this past year. We currently own 5 houses on the South Side in Bethelehem and are always looking for tenants. Our websites are still in the making, but you can check them out here: http://www.lurentahouse.com/index.html http://hrem-llc.com/ Our business has come a long way since our purchases last June, feel free to contact any of us with any inqueries. Kate and I are proud to announce the birth of our second daughter, Mackenzie Ann, on February 15, 2007. Both Mom and baby are doing well. Big sister Avery is excited to have someone to poke and prod. My wife, Maureen, and I live in Wayne NJ. I currently work as a product manager for The College Board in NY. Working for an Accounting Firm in Boston by day, playing pong by night. If you're ever in the area and your name isn't Arsenio, feel free to stop by and call next. This fall I will begin at Penn Design, studying for my M.Arch. If anyone is in Philadelphia and wants to come drag me out of the studio, give me a call. I am living in Bethlehem and working as a private engineering consultant specializing in electrics and mechanics. I am working as a Materials Engineer at Norfolk Naval Shipyard in Virginia and I just purchased a home in Virginia Beach last month. I'm hoping to get a full sized pong/beirut table by the end of the summer. Give me a call or e-mail if you want to take a trip down to the beach. Jacob Schnall was born 7/16. If anyone would like to babysit, please send me an e-mail and I'll FedEx him to you. I'm currently employed with MBNA America. Home: 1005 Valley Stream Drive Newark DE 19702. As of 11/30/04, I will be resigning as Product Development Engineer at Rheologics, Inc. to begin as Project Engineer with B. Braun Medical in Allentown. I am living with my wife kate in Woodcliff Lake, NJ. I also work in NJ for a venture capital firm, Technology Crossover Ventures.